Why not use a DockPanel? This is exactly the scenario it was meant for. 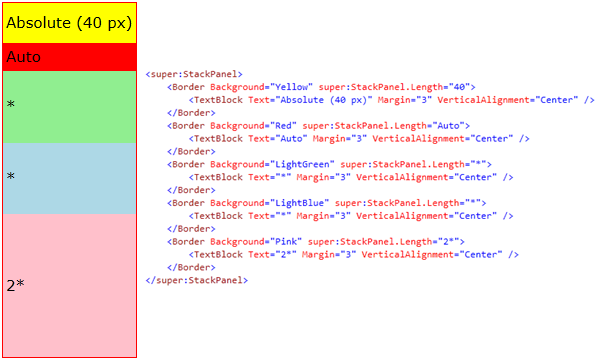 Additionally, I find the resulting Xaml more readable with SuperStackPanel but that is just my preference. DocPanel is certainly a reasonable alternative just like Grid. Well, we almost always use the Toolkit on projects, so that’s not a big deal to me. I probably would use a DockPanel with two children: a border and a grid to accomplish the spacing issues. I admit, your technique is much easier on the eyes which probably makes it a superior solution. With the behaviour in the project, it’s even picked up by Blend so the designers on our project can add it to the items they want. <- Sum() return decimal?, Probably because of var in the above line. – No Method Where() (probably Linq) Found. On this line. 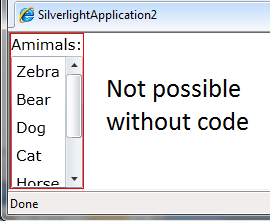 Linq seems to work, but the return type is wrong. – Sum() return decimal?, Probably because of var in the above line.